With almost 300 terrestrial vertebrate species, wildlife diversity is an integral component of the Lake Tahoe ecosystem. The Nevada Tahoe Resource Team (NTRT) protects important wildlife resources by conducting surveys for priority species, providing recommendations for restoring and maintaining high-quality wildlife habitat, and designing research studies to better understand Lake Tahoe’s rare and sensitive species. Through collaboration with multiple agency and private partners, the NTRT’s wildlife program aims to help preserve wildlife and its habitat in Tahoe’s multi-jurisdictional, multi-use environment. Here are some examples of current and recent wildlife projects, which are focused on Nevada Department of Wildlife's (NDOW) species of conservation priority. Several raptor species are considered sensitive by state and federal agencies within the Lake Tahoe Basin. The NTRT regularly monitors nesting activity for peregrine falcons (Falco peregrinus), osprey (Pandion haliaetus), and bald eagles (Haliaeetus leucocephalus) on the Nevada side of the lake. Additionally, large areas of suitable habitat within the Carson Range have been actively surveyed for California spotted owls (Strix occidentalis occidentalis) and northern goshawks (Accipiter gentilis) in order to find new nesting locations. 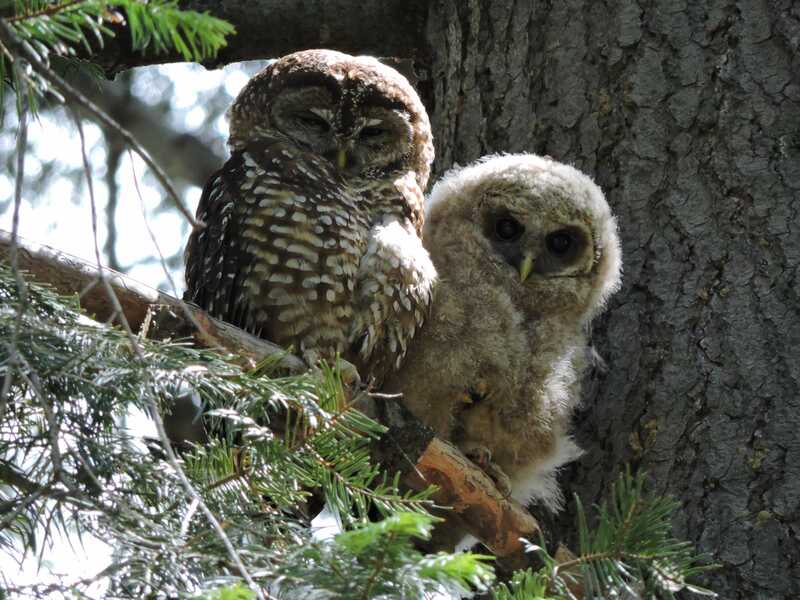 California spotted owls are good indicators of forest health. Although they are rarely reported in Nevada, recent NTRT surveys have helped locate nesting owls on Tahoe’s east side. The NTRT has developed survey and research projects for a number of small mammal species, including mountain beavers (Aplodontia rufa californica), Pacific martens (Martes caurina), Humboldt’s flying squirrels (Glaucomys oregonensis), shrews (Sorex spp. 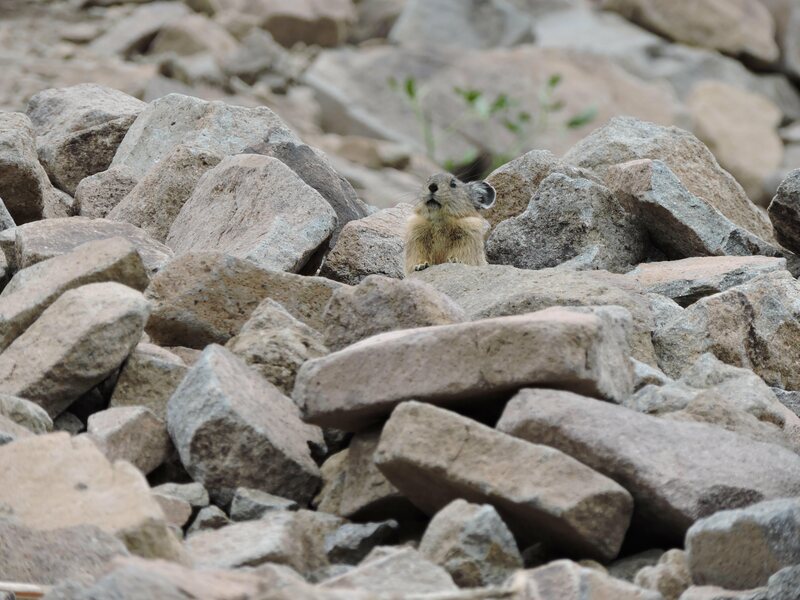 ), and pikas (Ochotona princeps). These species are very sensitive to environmental change, and understanding their distribution and habitat-use at the lake is instrumental in their conservation. Pikas typically inhabit high elevation talus fields like this one near Mt. Rose. Ongoing surveys are revealing that pikas may be disappearing from Tahoe’s lower elevation sites. 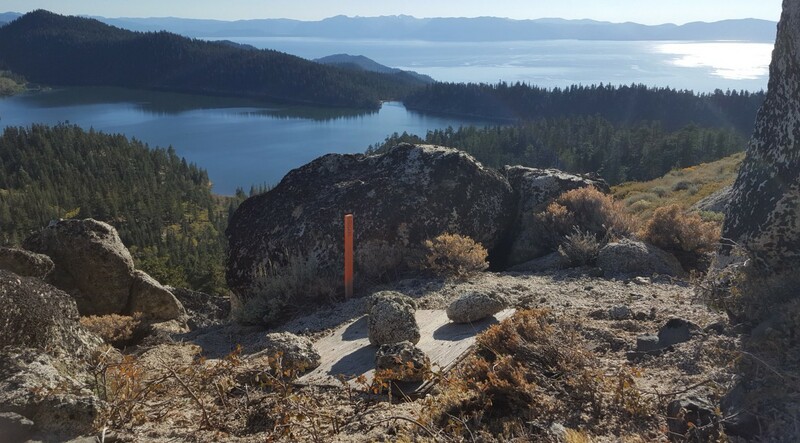 The NTRT recently established permanent cover board transects within Lake Tahoe Nevada State Park, which will provide an opportunity to survey for many highly-cryptic reptile species. These transects are checked multiple times per year, and will help us gain a better understanding of reptile species and their habitat-use within the Carson Range. Cover boards have been placed in various habitat types throughout Lake Tahoe Nevada State Park, and will be checked multiple times per year in order to gather baseline information on reptiles at Lake Tahoe. There are several bat species that occur at Lake Tahoe that are considered species of conservation priority by NDOW. Both mist-netting and acoustic recording techniques have been used to survey for bats within Lake Tahoe Nevada State Park. 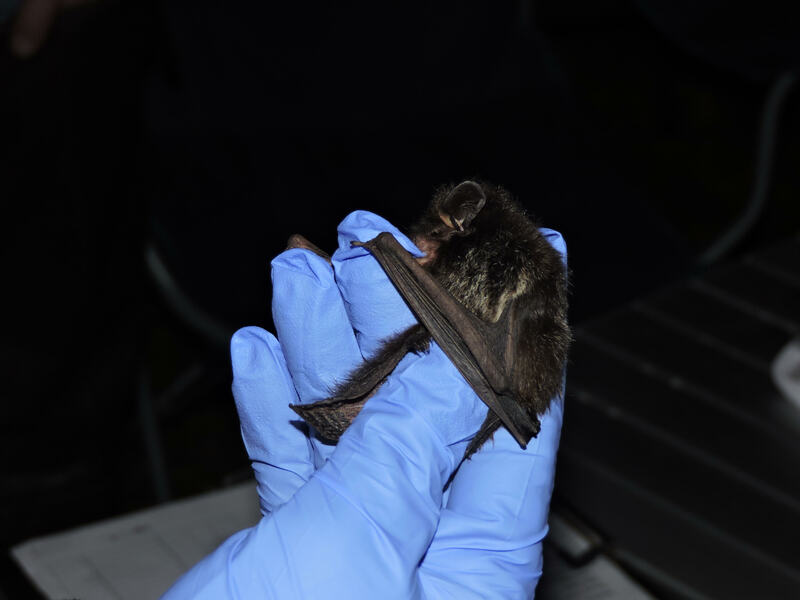 Eleven different species have been detected within the park, including three Nevada state-protected species, and a western small-footed myotis (Myotis ciliolabrum) that was captured in nets and detected with acoustic recorders in 2014, marking the first observation of that species at Lake Tahoe. Bat surveys in Lake Tahoe Nevada State Park have found that silver-haired bats are among the most common bat species inhabiting Tahoe’s forested environment.